WUSC Director of Coaching, Roxy Lee-Stewart, is pleased to announce the details for Spring WUSC Academy training programs. 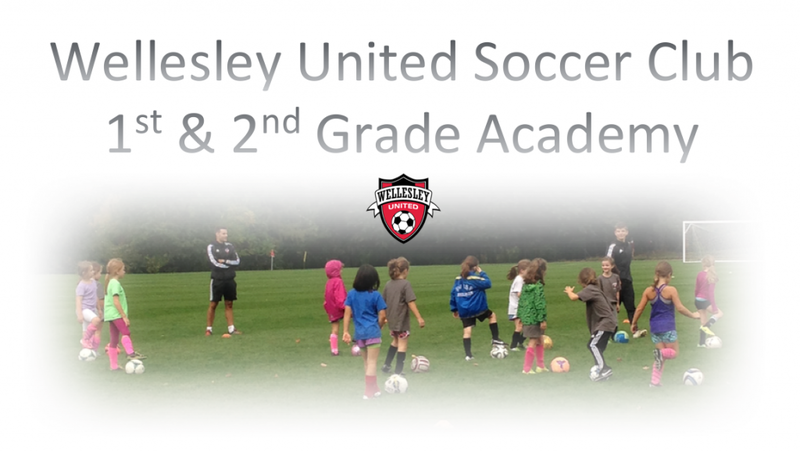 The 1st and 2nd Grade program provides opportunities for dedicated and driven players within WUSC to experience high level coaching in a challenging and positive development environment. Player development is our number one priority at WUSC. We understand that no two players will develop at the same rate – the 1st and 2nd grade program creates an environment where players are presented with individual and collective challenges and given the tools required to succeed. This program also provides players with increased ball contact time – more touches on the ball which results in significant player improvement. With two sessions a week, the 1st and 2nd Grade program will allow our younger players to increase their exposure to the game of soccer. Apr 26, May 3, 10, 17, 24, 31. Make-up date (if a session is cancelled due to weather) on Jun 7.